Sadly I have to spend the better part of my day working, but that is life so what can you do. I am dedicated though, so during this short break I thought I would check in with a few links. 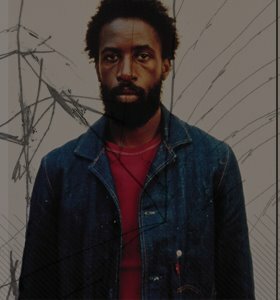 And mention that Saul Williams will be reading poetry tomorrow in San Marcos @ Texas State[link]. I also want to send a shout out to the visitor from France, and my new born baby brother.... See you all soon. Peace. No Gorillaz for a while, I doubt forever though. Beck @ The Backyard!! Presale is going on now. Password is VENOMCONFECTION. Prefuse 73 @ The Parish May 27th. And For My Dallas friends 2 days till Wall Of Sound.